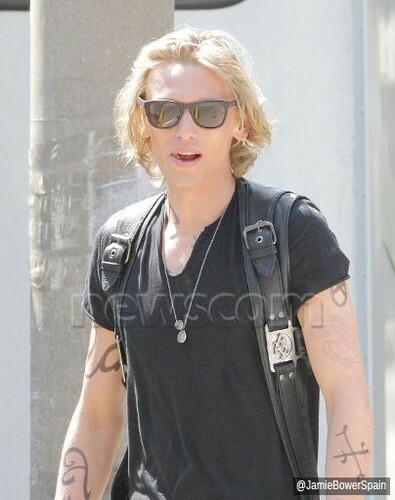 On the set of 'The Mortal Instruments: City of Bones' (August 23, 2012). On the set of 'The Mortal Instruments: City of Bones' (August 23, 2012). Wallpaper and background images in the Jamie Campbell Bower club tagged: the mortal instruments city of bones on set jamie campbell bower jace wayland. This Jamie Campbell Bower photo contains óculos de sol, óculos escuros, tons, and máscaras. There might also be retrato, headshot, close up, and closeup.